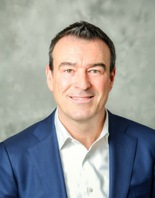 Saul Van Beurden is Senior Executive Vice President and Head of Technology at Wells Fargo, with responsibility for leading the company’s combined Enterprise Information Technology team, Enterprise Information Security team, and technology transformation efforts. He serves on the Wells Fargo Operating Committee and is based in New York. Saul plays a critical role in the execution of Wells Fargo’s strategy where technology is a key element of the company’s customer and team member experience, business and risk management transformation, and growth. Under his leadership, technology team members set IT strategy, enhance the design, development, and operations of our systems, optimize the Wells Fargo infrastructure footprint, provide information security, and provide Wells Fargo global customers continuous banking access through in-store, online, ATM, and other channels. Saul has 25 years of experience in financial services and is an experienced technology leader. Before joining Wells Fargo in 2019, he served as chief information officer of Consumer & Community Banking at JPMorgan Chase & Co. from August 2016 until January 2019, where he was a member of the Consumer & Community Banking executive team and the Global Technology Operating Committee. At JPMorgan, Saul was responsible for managing all application development, production management, data management, cloud migration, engineering and architecture, innovation, cybersecurity, and risk for the consumer and community banking division. Saul also previously served as the chief information officer of Consumer & Business Banking and chief information officer of Consumer Lending & Mortgage Banking at JPMorgan. Prior to joining JPMorgan, he was chief operating officer for Marsh & McLennan International, a global professional services firm headquartered in New York City with businesses in insurance brokerage and risk management. Saul also spent 10 years at ING Group in various senior leader positions. He is a native of the Netherlands. Saul is a Certified Public Accountant from NIVRA/Nijenrode, a Dutch-business university. He serves on the Board of Trustees of the Museum of American Finance, a non-profit organization based in New York City. If you would like to get in touch with a board member, visit How to Contact the Board of Directors.